Seemee Film is a highly reflective mirror like film which when applied to your glider will increase..
One of a new range of tapes from Le Mark. 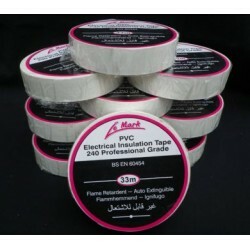 Excellent adhesive strength, durable and waterproof; .. Pack of 10 Rolls , the more you buy the more you save!! New from Le Mark, high performance PVC tap..
Why not buy a pack of 5 rolls? You know 1 roll will not be enough! 5 Roll Pack New from Le Mark, h..
Why not stock up for the season instead of having to go on the scrounge!!!!! New from Le Mark, high..